On July 17, Malaysia Airlines flight MH17 crashed in eastern Ukraine while en route from Amsterdam to Kuala Lumpur, killing all 298 people on board. The cause of the crash is still not clear, with the Ukrainian government placing the blame on independence supporters in the country’s eastern regions while the latter deny any involvement. 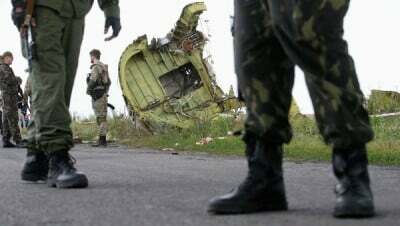 MOSCOW – Flight MH17 operated by Malaysia Airlines broke up in the air probably as the result of structural damage caused by a large number of high-energy objects that penetrated the aircraft from outside, according to the preliminary report by the Dutch Safety Board. “There are no indications that the MH17 crash was caused by a technical fault or by actions of the crew,” indicated in the report.